This unique, first of its kind event, to be held in participating cities across the world, aims to bring about a revolution empowering our mothers and sisters. 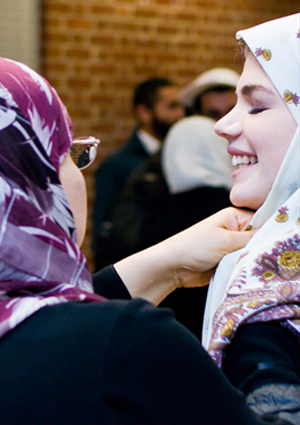 For years on end, the hijab has been the centre of many discussions with the end result often labelling our mothers and sisters as being oppressed. This beautiful practice that is adopted throughout many faiths is the key to modesty and preservation of one’s identity. Unfortunately, we find ourselves in a time where hijab is an international subject of great debate both in religion and in politics. This campaign will involve distribution of hijabs in city centres across many different locations. Cupcakes with messages on and wristbands propagating the message could also be given out to gain recognition in this poorly understood aspect of Islam. It is hoped that this will trigger off a chain of events allowing our sisters to peacefully practice elements of the religion without any criticism.